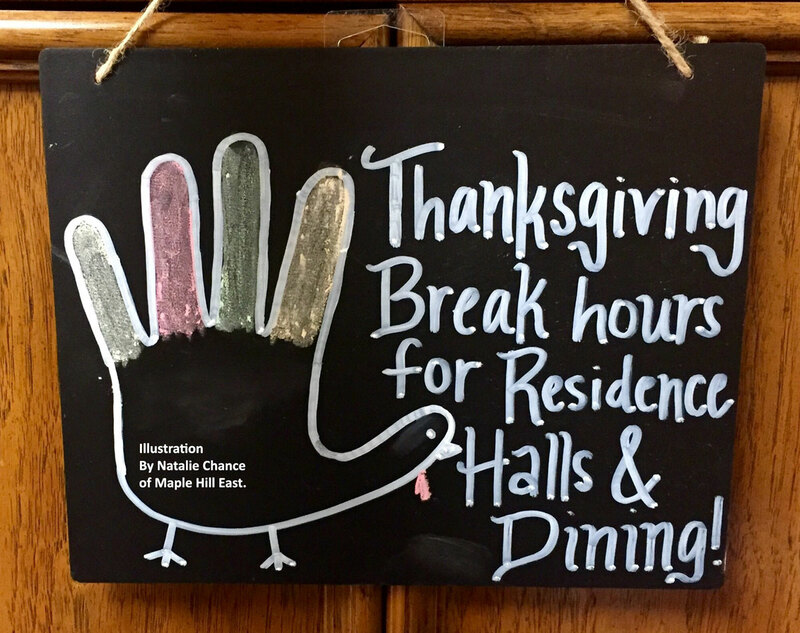 Residence halls will remain open during Thanksgiving break. 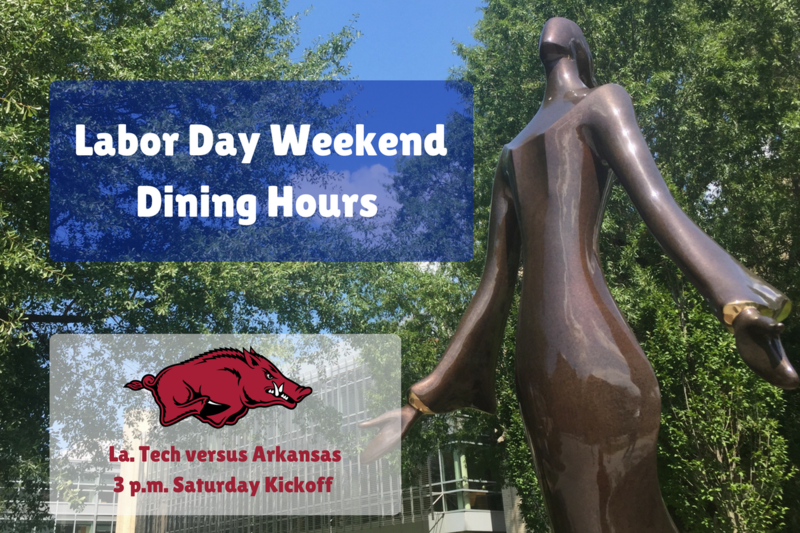 Here is a listing of dining hours on campus if you remain here during the break. 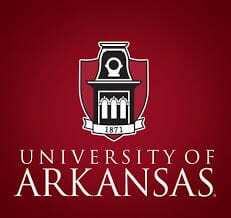 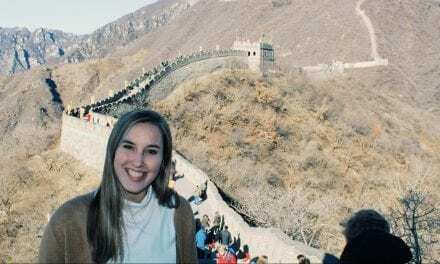 University Housing decided to keep the halls open for a number of reasons, including the convenience of students who live on campus but work in Fayetteville. 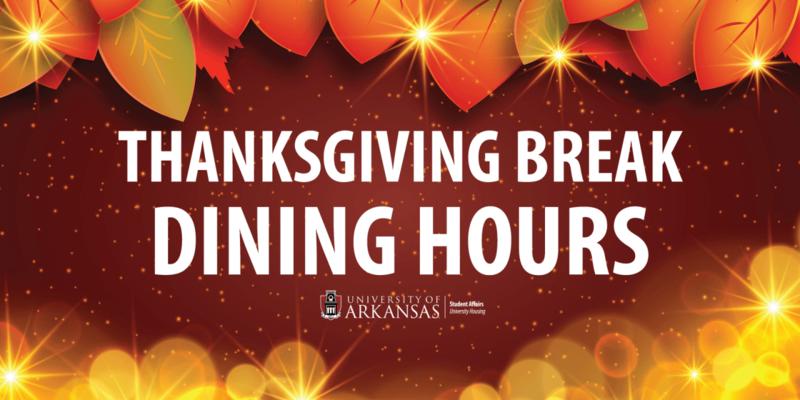 We wish you an excellent Thanksgiving break and see you next week.